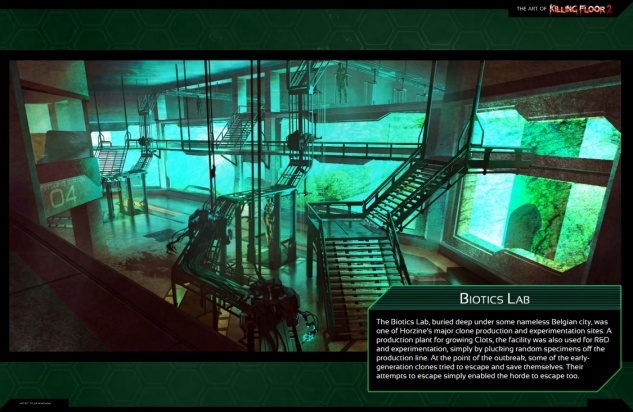 Biotics Lab is a Killing Floor 2 map. 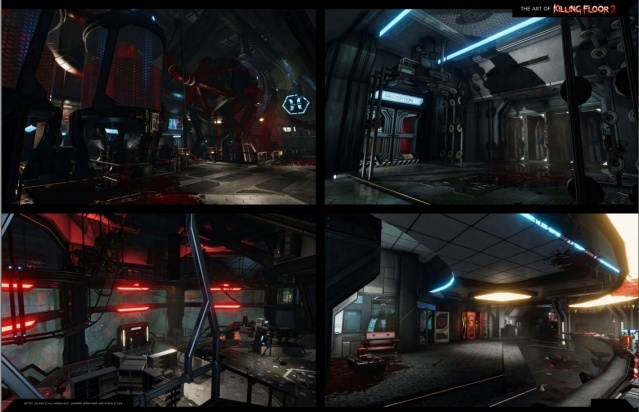 It is one of the three maps that came out with the Killing Floor 2 Early Access release. The other being Outpost and Burning Paris. 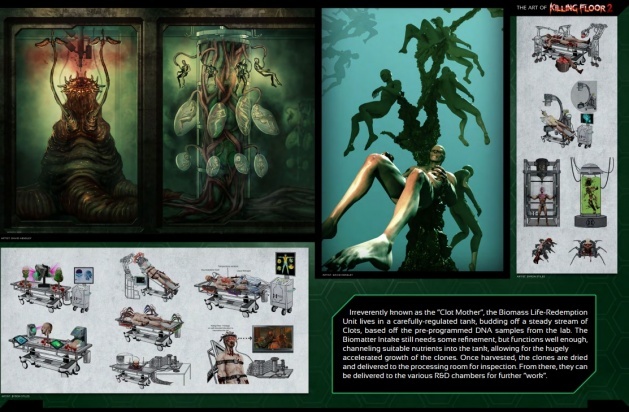 "A covert Horzine research facility, the Biotics Lab has been overrun by the Zeds created in its own depths. The facility must be retaken before the Zeds have a chance to threaten the world outside the lab. 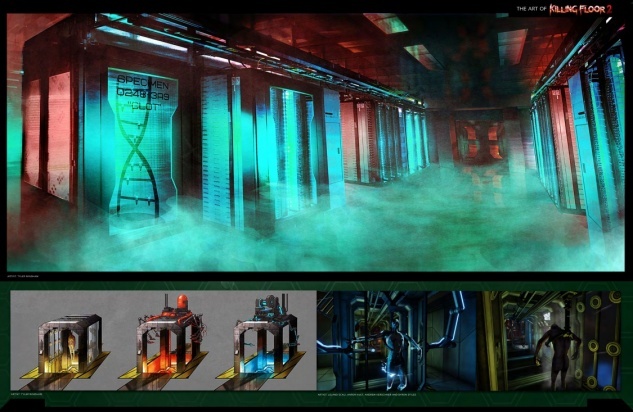 Full of steel and glass, it is a maze of corridors, experimental labs, and horrors." 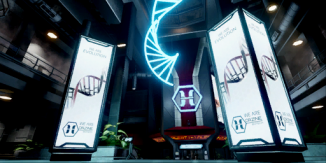 "The Biotics Lab, buried deep under some nameless Belgian city, was one of Horzine’s major clone production and experimentation sites. A production plant for growing Clots, the facility was also used for R&D and experimentation, simply by plucking random specimens off the production line. At the point of the outbreak, some of the earlygeneration clones tried to escape and save themselves. Their attempts to escape simply enabled the horde to escape too."